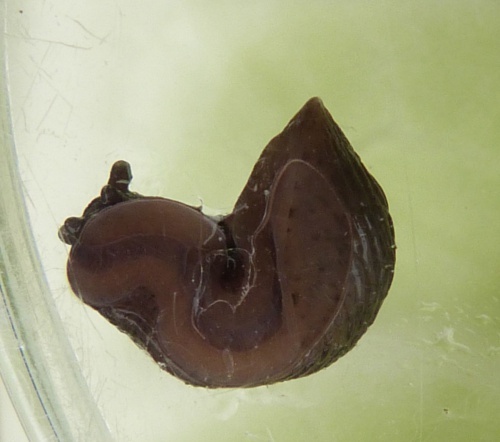 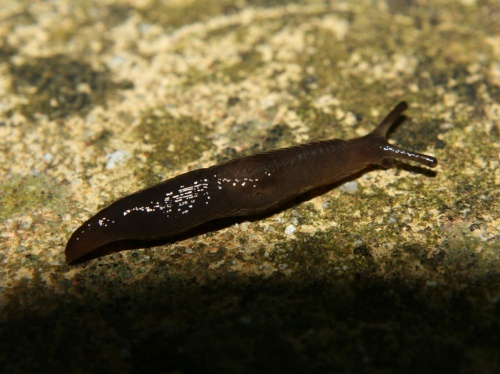 This slug is 15-25 mm long and varies from brown to dark brown, usually with dark and characteristic, but not well visible, spots arranged in groups. The head and tentacles possess a characteristic smoky, bluish black colour. 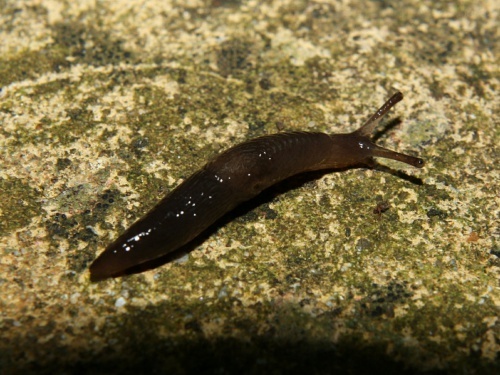 The body shape is almost cylindrical but the tail is bluntly rounded. The mantle covers 50% of body length (unusually large). There are wrinkles present on the skin. 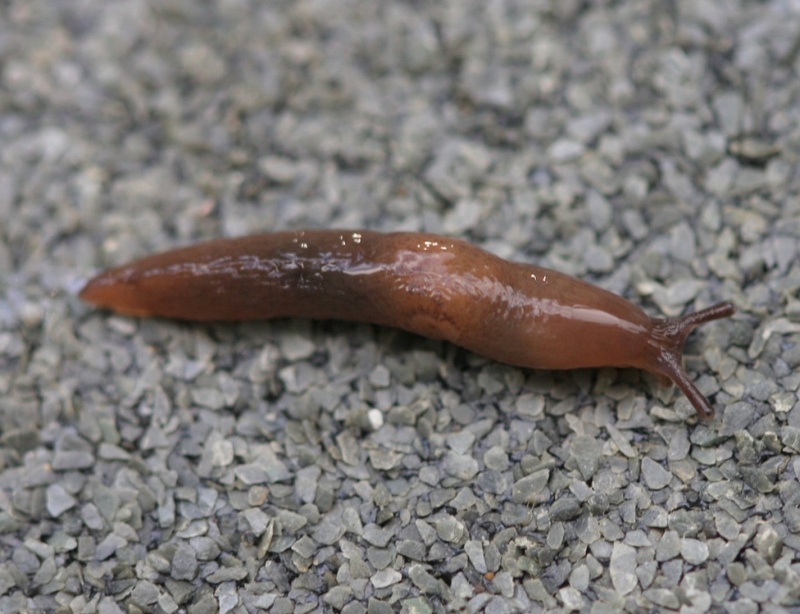 Mucus is thin and colourless and the sole is brown - more or less unicolorous with the body. 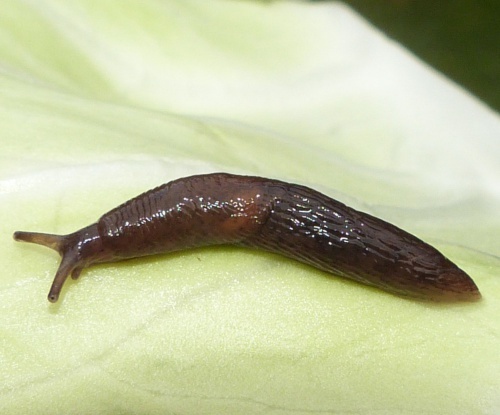 Deroceras laeve is smaller and a darker brown than the other two Deroceras species. 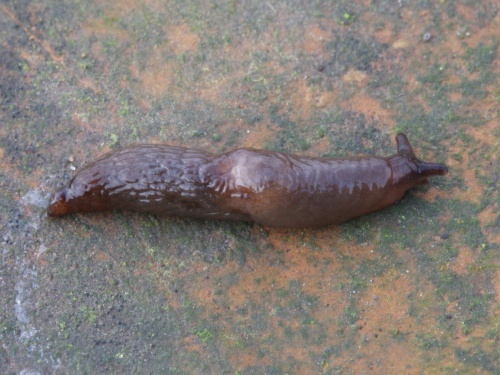 The brown sole is a useful identification feature. 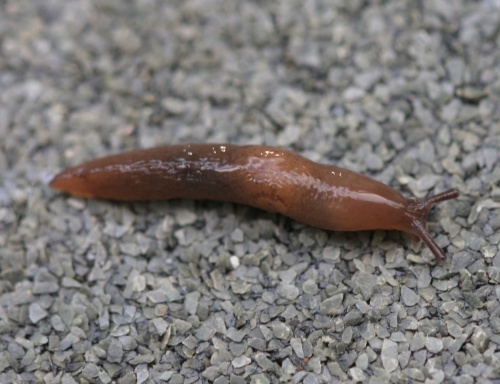 It lacks the pale ring around the breathing pore found in D. invadens. 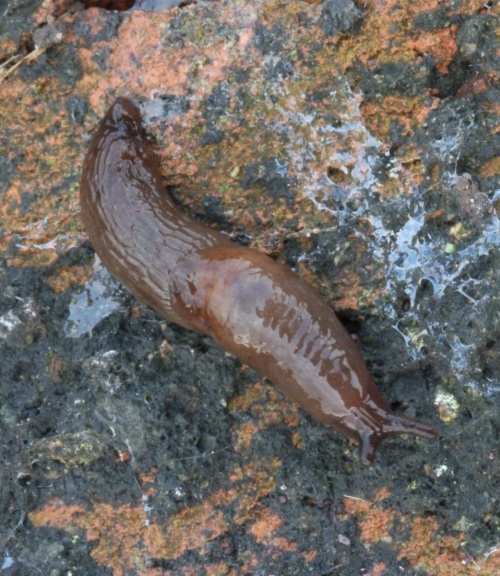 This species can be found in a wide range of habitats but it is more tolerant than most species of moist habitats such as wet marshes, woods and meadows. It can sometimes also be found in greenhouses. 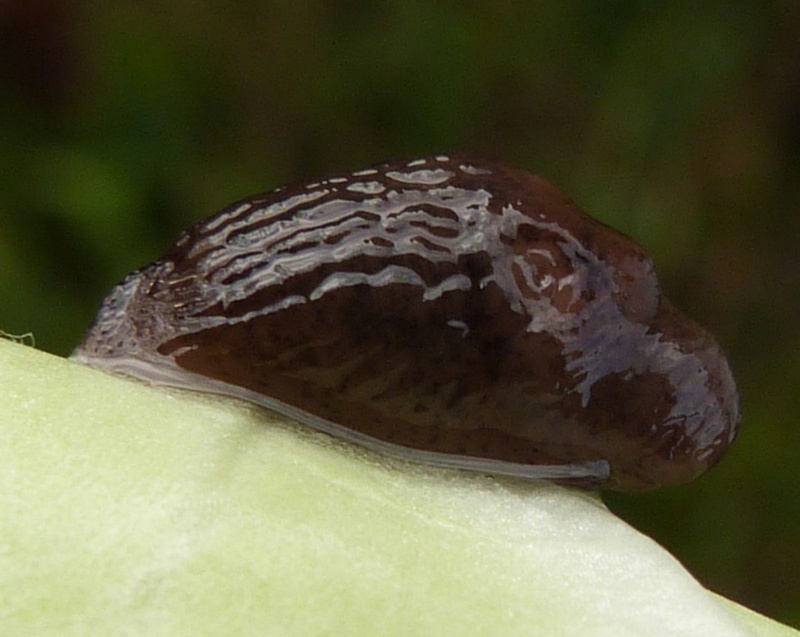 Can be found and reproduces year round, the species generally becomes active approximately three weeks before other species in the spring. 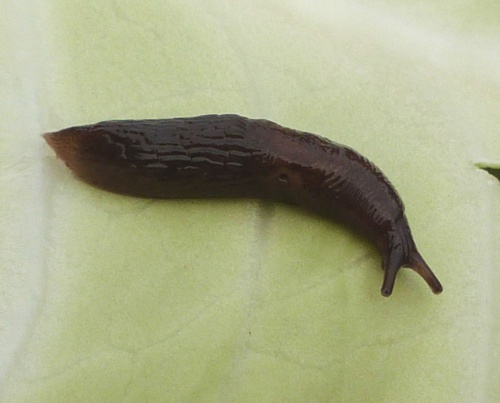 Deroceras laeve has the potential to become a garden pest as it consumes living and dead plant material. 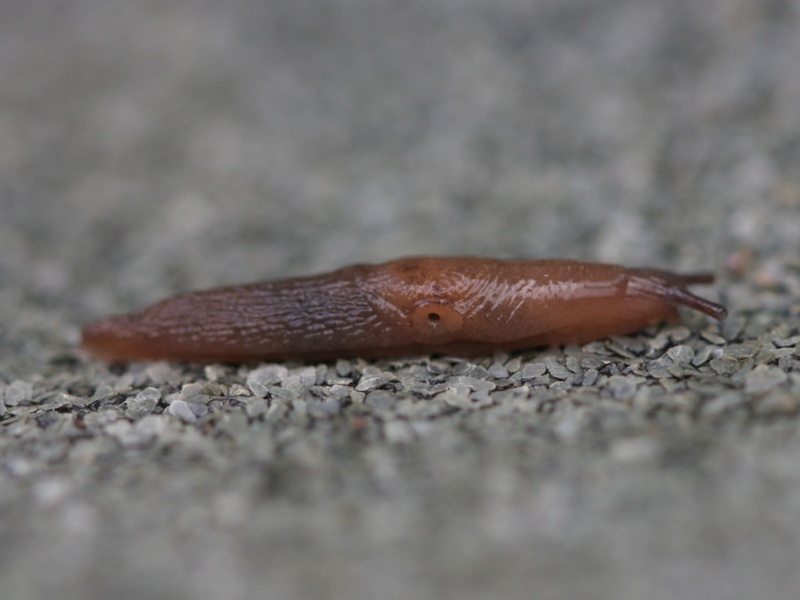 It is relatively common and widespread in the UK. Relatively common in Leicestershire and Rutland.